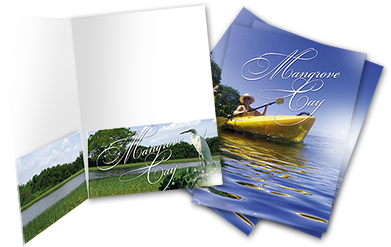 Our pocket folders are printed on rugged 15pt. Board stock and will stand the test of time. Don’t settle for flimsy card stock. Choose from one or two pockets, with or without business card slits. Did you know? We are a full service mail house! Call us after your order for mailing services as low as $.04 per piece! Turnaround times are estimates only. please choose the Rush option.